Click the dog to submit the form. 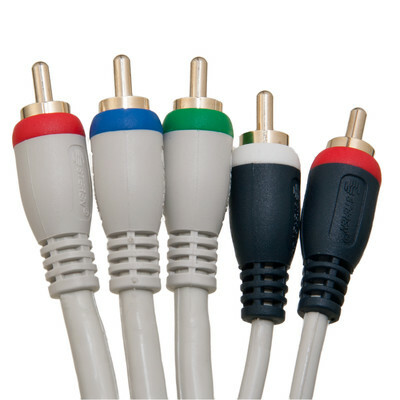 More Product InfoOur high quality 6ft component cables allow you to maximize your picture quality from an RCA-type connection. In separating the signal into Red Green and Blue (RGB) the purest signal possible is sent to the television. This particular cables adds a pair of audio RCA cables. A great choice when connecting DVD/Blu-ray players, cable and satellite receivers, HDTVs and other high-end audio/video components.